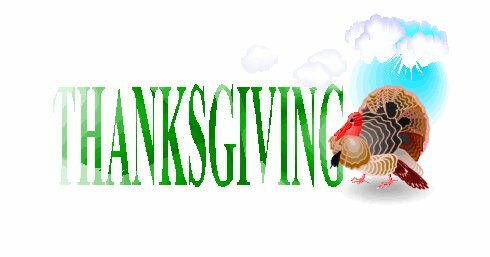 The tradition of Thanksgiving as a time to focus on God and His blessings dates back almost four centuries in America. While such celebrations occurred at Cape Henry, Virginia, as early as 1607, it is from the Pilgrims that we derive the current tradition of Thanksgiving. The Pilgrims left England on September 6, 1620, and for two months braved the harsh elements of a storm-tossed sea. After disembarking at Plymouth Rock, they had a prayer service and began building hasty shelters, but unprepared for a harsh New England winter, nearly half died before spring. Yet persevering in prayer and assisted by helpful Indians, they reaped a bountiful harvest the following summer. 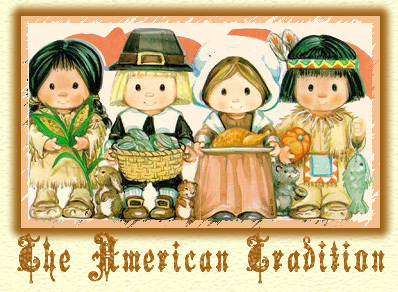 The grateful Pilgrims then declared a three-day feast in December, 1621, to thank God and to celebrate with their Indian friends—America's first Thanksgiving Festival. This began an annual tradition in the New England colonies that slowly spread into other colonies. As you celebrate the Thanksgiving holiday this year, remember to retain the original gratefulness to God that has always been the spirit of this, the oldest of all American holidays. "Whereas it is the duty of all nations to acknowledge the providence of Almighty God, to obey His will, to be grateful for His benefits, and humbly to implore His protection and favor....Now, therefore, I do appoint Thursday, the 26th day of November 1789...that we may all unite to render unto Him our sincere and humble thanks for His kind care and protection." "Congress recommends a day of...thanksgiving and praise so that the people may express the grateful feelings of their hearts...and join...their prayers that it may please God, through the merits of Jesus Christ, to forgive our sins and...to enlarge His kingdom which consists in righteousness, peace and joy in the Holy Ghost." "We often forget the Source from which the blessings of fruitful years and healthful skies come....No human wisdom hath devised nor hath any mortal hand worked out these great things. They are the gracious gifts of the Most High God.... I therefore invite my fellow-citizens in every part of the United States...to observe the last Thursday of November as a day of thanksgiving and praise to our beneficent Father who dwelleth in the heavens." Some people believe America has strayed from the religious convictions of her early fathers. Perhaps it is true. But the real question is not "where is our country's faith?" but "where do you stand?" on the issue of acknowledging God in your life. For what—and to Whom—are you grateful? Have you forgotten "the Source from which your blessings have come?" Have you acknowledged "the providence of Almighty God" in your life? Have you ever "prayed to God through the merits of Jesus Christ to forgive your sins?" Believing in God is one thing. But you must also take the next step...you must come to KNOW Him. You can make this Thanksgiving a very special one by thanking the God of your forefathers for all He has done for you and for America. 3) Jesus Christ is God's only solution to our sin problem. Christ died for our sins according to the Scriptures,...he was buried, [and] he was raised on the third day according to the Scriptures. If you are ready to accept Jesus as your Savior, you can do so through a prayer like this: Dear God, I am so sorry that I have not been thankful enough for what You have done for America, and what You have done for me. I want to have the same devotion for You that our country's forefathers had. I want to accept Jesus' sacrifice for my sins right now. I trust in His death and resurrection as all I need to cleanse me of my sins and make me perfect in Your sight. Thank You for giving America her freedom, and thank You for giving me mine, in the form of eternal salvation. Help me to make Your love known to others. Amen. "I...appoint...a day of public thanksgiving and praise...to render to God the tribute of praise for His unmerited goodness towards us...by giving to us...the Holy Scriptures which are able to enlighten and make us wise to eternal salvation....And to pray that He would forgive our sins and...cause the religion of our Lord and Savior Jesus Christ to be known, understood, and practiced among all the people of the earth." "Give thanks to the LORD, call on his name; make known among the nations what he has done."